Now that I’m in a pretty good headspace, I’m defo ready to chat about David Hockney. 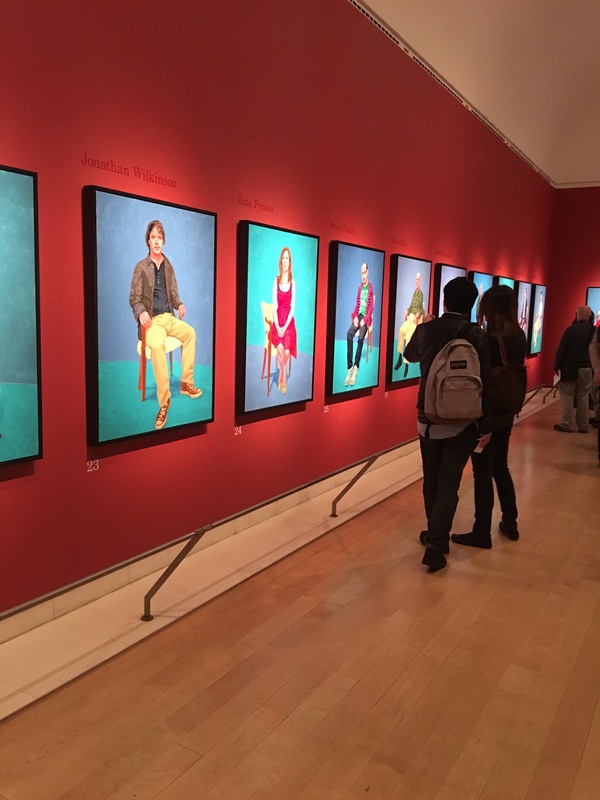 I went to the Royal Academy to see an exhibition of his recent work ’82 portraits and 1 still life’ and it was well worth it! What can I say? Brilliant, comes to mind as an understatement. Meticulous preparation! 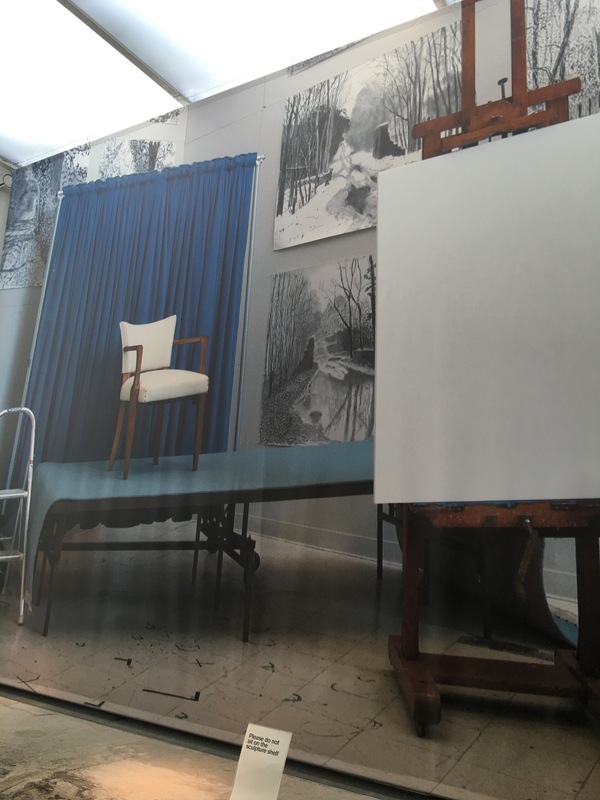 82 portraits and 1 still life in a 3 year span…each painted within 3 days, 8 hours a day! Aside from 2 which were painted within two days each due to time constraints of the sitters. Talk about being dogged and anally precise!! I like it a lot. Teaching me to not be too flighty and take pride in stuff being ‘just so’. I love the combination of being so precise and yet being spontaneous!! 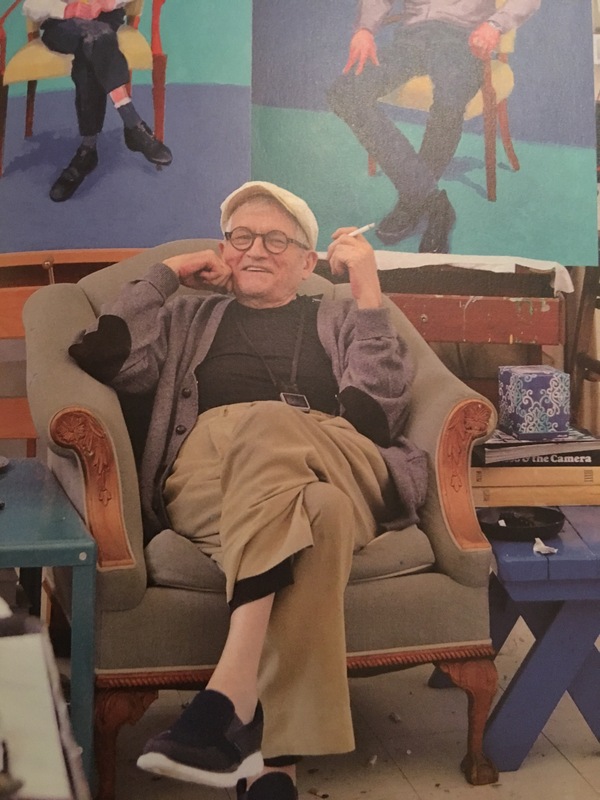 David Hockney painted in acrylics and from life…no photographs for visual reference…so no time to flaff about…just paint what you see; no embellishments. It is daunting and inspiring!! What a legend! Previous What a day I’m having! Next Waiting can be sketchy! Splendid. Thanks for sharing your review on the exhibition.I always loved David Hockmey paintings. Wish I could attend the Exhibition myself. It was brill!!! 😘😘 Thank you so much for your feedback.